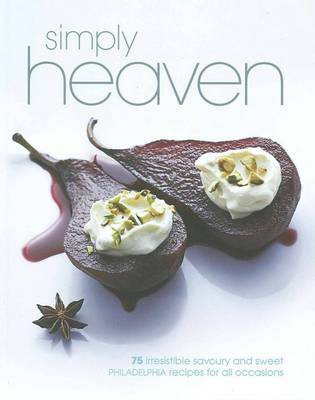 This book has the same ISBN (9780646515762) as its sequel, Simply Heaven,Volume 2: Another Reasons to Use Philadelphia (2010). Very simple and tasty dip. Oreo cookies "special" at my local Brisbane (Oz) supermarket reminded me of this recipe seen years ago.. made it as a 23 cm cheesecake as opposed to a slice ... delicious! Now I understand the hype around Oreo!! This is the best cheesecake recipe I've ever made, and easy as well. Never make anything else.